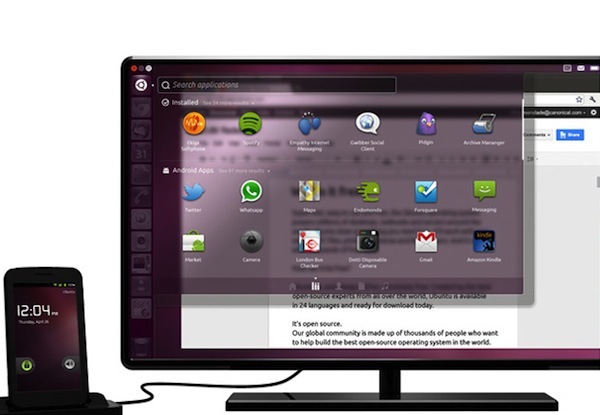 Ubuntu for Android is one of the most eagerly awaited projects in the open-source community. 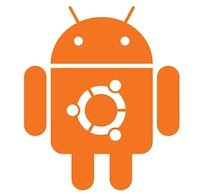 Brainchild of Mark Shuttleworth and the Canonical team, Ubuntu for Android project has started getting a lot of attention lately. The main reason for this is that Canonical is attempting something unique by merging two of the most popular open-source platforms around. Hoping to provide a bridge between the desktop and mobile, Canonical is heavily banking on this project. That said, there are many doubts and speculations whether this project will succeed or not. Ubuntu and Android are established brands; however, whether their marriage will be a triumph or a disaster remains to be seen. We know that you too are excited about this project as much as we are and hence we’ve come up with a list of features and expectations for the upcoming project. Ubuntu for Android: What is it? Ubuntu for Android is an Android application that would allow you to use your smartphone as a full-fledged computer. All you need is a dock, a monitor, and a keyboard-mouse set. Once you have that, any Ubuntu for Android-enabled phone can be used as a computer. All you have to do is connect your phone to the dock and the system boots up perfectly. Not only can you use the apps you have on your smartphone, you can also use the traditional Ubuntu desktop apps like Thunderbird, Firefox, and LibreOffice on the same desktop. So, you won’t be surprised to find WhatsApp and Rhythmbox both existing in your launcher. As your smartphone is connected to the dock, anything that happens on the phone can be viewed on the desktop. So, if you wish to receive important calls, messages, and more, you can do so even while the phone is locked. Ubuntu for Android is for everyone. Canonical is trying to broaden Ubuntu’s reach by putting the open-source distro in the hands of every Android user. Any Androider with a dual-core smartphone can basically install the software and use it with the dock. Ubuntu fanboys will surely love it, but Android users who once were hesitant to switch to Linux operating system on the desktop might take the leap. If Canonical implements it perfectly, and it works as it says on the tin, then there is a huge chance that this will work. The market is huge, and, being an innovative product, there is almost no competition. Of course, Apple or Microsoft might do something similar; however, if Canonical manages to penetrate the market first then it will have the upper hand in the game. As for the doubts whether it will work or not. Only time will tell. Ubuntu for Android as seen in the ad might turn out to be quite different once it gets in the hands of the users. Canonical has to ensure that it gives its users top-notch quality software and hardware so that they’d gain trust in the Ubuntu brand. Well, Ubuntu for Android looks great in the adverts; however, one of the biggest limitations of the software is that it runs only on dual-core Android devices. Many users, especially on the Android platform, use a single-processor device. So, the market reach is limited to consumers using high-end Android handsets. Secondly, you’ll need a monitor, a keyboard, and a mouse to use it. Not that people don’t have it, it’s just that connecting the keyboard, mouse, and the monitor to the dock, then reconnecting it to the CPU seems to be quite a hassle. Also, many people use laptops these days, thus ruling them out of the list of potential consumers. Ubuntu for Android isn’t out yet; however, once it’s out, many people might be a bit hesitant to buy it. I’d suggest that you wait for reviews before spending your hard-earned cash. Ubuntu for Android is an ambitious endeavor that can either fail terribly or can succeed like no other FOSS project. Let’s keep our fingers crossed till it’s released and hope that it’s worth the wait.